Get ready for the big time! Graduation is here, and it's time to celebrate. 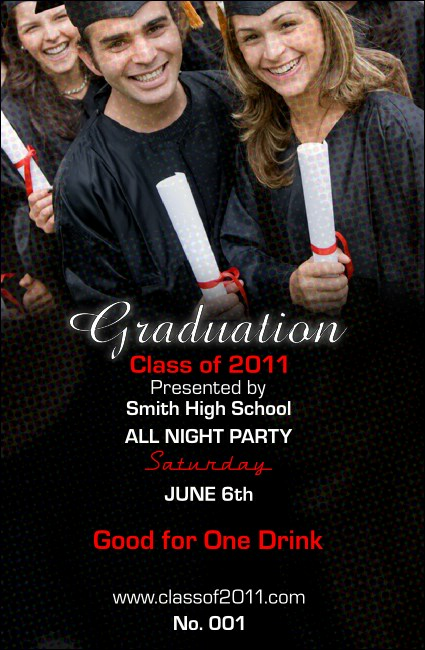 Make your party easier with the Graduation Diploma Drink Ticket. With a photorealistic image of happy grads showing off their diplomas, this ticket is individually numbered for security. Make your party memorable with great designs from CanadaTicketPrinting.ca.